This week’s Iron Craft challenge was all about maps. I had to do something really quick and easy because I was away on vacation most of challenge week. I’d seen pendants for necklaces done with a piece of a map and decided to make my own version. 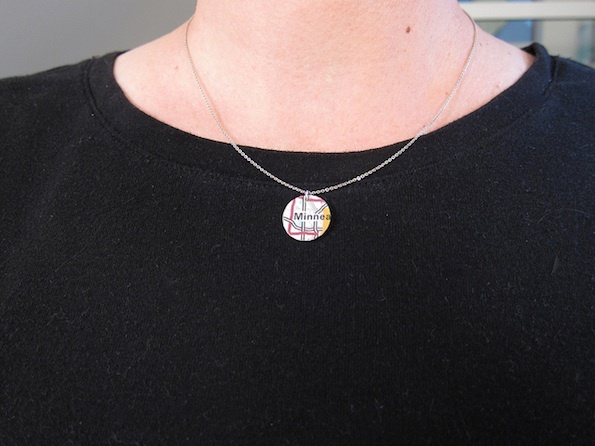 Use the compass to draw a draw a circle the size you want you pendant to be on a map. Carefully cut it out. 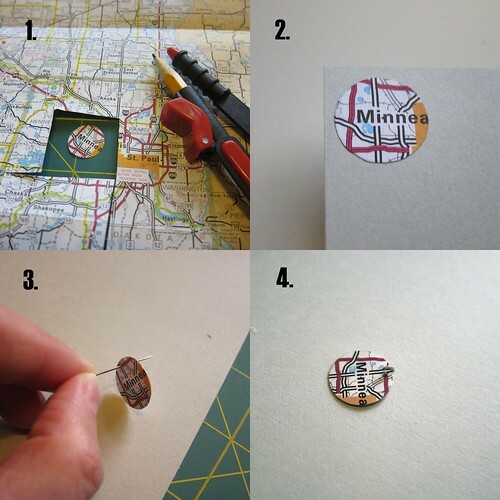 Use the glue stick to glue the map circle to the cardstock or cardboard. Coat with a couple layers of polyurethane, letting dry between layers. I coated both the back & front two times (I would have done one more on each but rand out of time). Use the pin of needle to put a hole through the top of the circle. 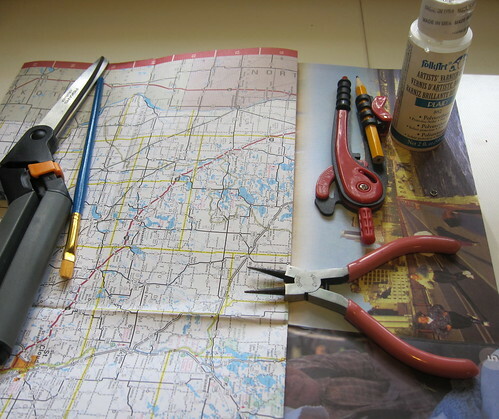 Use the pliers to open the jump ring. Put the ring through the hole in the pendant. Use the pliers to close the jump ring. (You may need to leave the ring open to get the pendant on a chain, my jump ring was big enough that I didn’t need to.) Put on a chain and wear. 8 years ago by Kat in Challenges , Craft Projects , Crafts , Iron Craft , Projects | You can follow any responses to this entry through the RSS feed. You can leave a response, or trackback from your own site. And here I thought this was going to be a complicated project, but it looks pretty straight forward. I just need some Polyurethane. Reve – I used poly because it was what I had on hand, if mod podge will stiffen the paper & not get gummy against the heat of your skin it should work just fine.